The Sheboygan North High Art Department created NHS Artist in Residency Program (NHS AiR) in the fall of 2014. This program is designed to expose, educate and engage the North High community to local and regional artists each semester during the current academic school year. Our artist in residence works with our staff and students for one semester (18 weeks). The AiR program is currently in its fourth year. Although mostly a self taught artist Eileen Urness has been surrounded by art and artists most of her adult life. She has explored many areas of art including jewelry, ceramics and painting. Lately Eileen has been experimenting with Millifiori Polymer Eggs. Her technique is largely experimental and self developed incorporating elements of the Millifiori glass technique with polymer clay on eggs. She has received several awards for her innovative techniques and attention to detail. In my classroom/studio at North High School students and faculty are welcome to stop in anytime during my 10-hour a week schedule through the second week in January. I am going to be working on creating a new body of work in watercolors and ceramics with some printmaking techniques. I’ll be updating & organizing my website. I’m hoping that I’ll be an aid in brainstorming and bridging ideas and concepts with students and teachers. I hope to work collaboratively in their classroom, focused on whatever subjects bubble up. I assume projects and connections will reveal themselves as time is spent and communications evolve. I love this way of working. I do not pre plan but the overall structure. I trust what happens inside that space will be transformative. I love the idea of possibly making connections that don’t seem at first to have parallels. I’m invested in opening the up the boundaries between the hard lines of themed academics to allow for new learning and discovery to potentially occur through creative activity and exploration. Erica Jane Huntzinger grew up in a western suburb of Chicago, IL. Pursuing the humanities, specifically painting and ceramics, she studied art and English literature at Illinois State University and transferred into the painting department at The University of Illinois. In her last semester, Erica studied art and ecology in England at Wolverhampton Polytechnic. She graduated from The University of Illinois in Champaign-Urbana with a Bachelor’s Degree in Fine Arts and a Major in Painting. 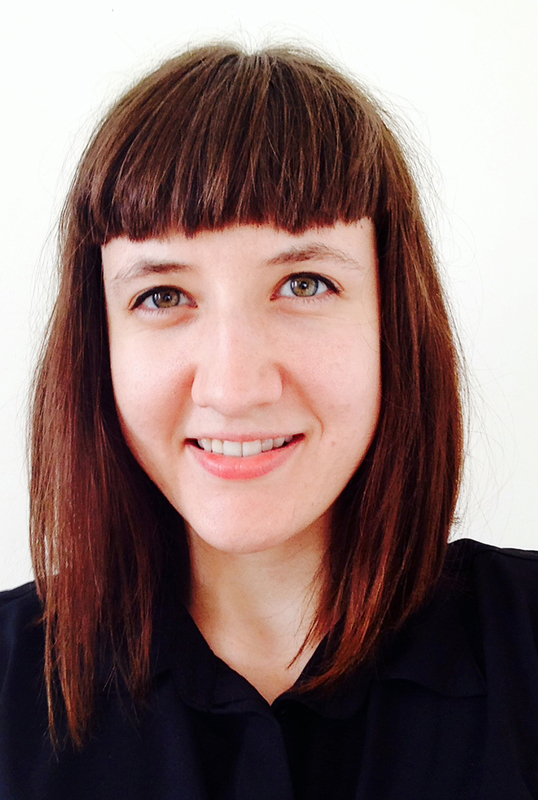 Desiring deeper meaning into art and the self, Erica pursued further education and received her Masters Degree in Art Therapy at The School of The Art Institute of Chicago. As a painter, Erica describes her work as visual documentations of internal landscapes. Her work is captured and distilled through sensitive attention to experiences in an attempt to bridge the dualities of the conscious and the unconscious. Each piece is realized through the use and manipulation of color, texture, text and space; filtered, steeped in and manifested through paint and clay. Erica has shown throughout the country, mainly in her home state of Illinois and Chicago, where several of her paintings are permanently installed at the following: Uncommon Ground (Devon and Grace locations), The University of Illinois at Chicago Children’s Center, and Delilah’s. She has frequently shown professionally, most notably at The Chicago Cultural Center‘s “People of the Mud II: Another look at Chicago Ceramics”, Silvermine Guild Art Center’s “Craft USA”, The John Michael Kohler Arts Center’s “Eight Counties Art Show”, Prak Sis Gallery’s “Axis International Art Festival”, several shows with Margin Gallery, including their “Sojourn”, “Geographies of the Mind”, and “Retrospective” exhibits, The Hudson in Milwaukee, WI and most currently in The School of The Art Institute of Chicago’s Art Therapy 30th Anniversary Exhibition in October of 2014. She currently lives and works in Sheboygan, Wisconsin and commutes often to Chicago and Milwaukee to exhibit her work. Marty Carney is an artist wondering at the art of living. His passion for art and creativity has emerged and evolved over the years. He has lived his life so far in the American Midwest. As his aunt once marveled flying into the Midwest after having lived away from this area for a length of time, “The green! The shades of green!” Marty lives within those shades of green unfolding. Within this “heartland,”I find a place to express the landscape of my soul. I find space to stand in the sun, to feel the rain and snow, and to huddle in warm coffee shops with friends through the long and dark winters. For the last fifteen years I’ve lived near Sheboygan on the Wisconsin shores of Lake Michigan as an artist and as a pastoral leader in the community of faith, Falls Community Church. So along with all the Midwestern shades of green, I’m now captivated by the broad space and the hues of blue that unfold from the Lake. Liz Ann Lange graduated from Kohler High School in 1998 and served nearly 7 years as an aircraft structural maintainer in the United States Air Force. In 2006, she enrolled in the Bachelor of Arts program at Lakeland College where she earned her degree in Studio Art and Graphic Design. Liz works out of her home studio in Sheboygan as a freelance designer and illustrator, and also enjoys hand forming copper jewelry and components, but her true passion lies in the materials and techniques of oil painting. The subject matter of her paintings revolves around urban and industrial settings in the city of Sheboygan. Many of these scenes are often overlooked, as she tends to be less drawn to well-known landmarks, and more interested in settings such as an eclectic grouping of differently colored houses, the poetic arrangement of haphazardly strewn debris, the satisfying linear patterns and repetition of power lines and rooftop antennae, and the presence of nature fighting to reclaim its hold on the land. To impose the beauty that she senses in these unglorified places upon the viewer, Liz visually extracts colors from the scene and intensify them in her palette, resulting in more saturated colors than those found in nature. Sara Willadsen was born in Sheboygan, WI in 1987. She received her Master of Fine Arts Degree in Painting from Northern Illinois University in 2014 and her Bachelor of Arts Degree from Lakeland College in 2010. Working predominantly with paint and various found materials, Willadsen’s work explores ideas of abstract spaces and structures inspired by her childhood spent in Sheboygan County. She has had work shown at the Museum of Wisconsin Art and exhibits frequently in group exhibitions. 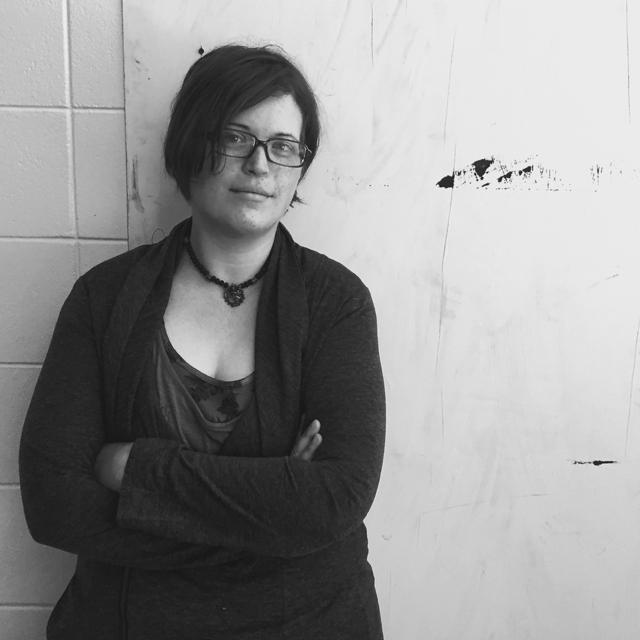 Willadsen lives and works as a visual artist and freelance designer in Sheboygan. I make pictures that satisfy my curiosity in aesthetics and found materials. Combining these articles with reappropriations of my own work allows me to employ past patterns and marks as prompts for new structures and environments. The aggressive process used to construct these secretive spaces is kept in balance with the consciousness to know when to stop. We kick off this school year with Fond du Lac artist, Mel Kolstad. Mel was first introduced to the North High community last school year as one of the featured artists in the North High Art Department’s Artist in Lecture Series. Mel will be creating a body of new work, working with our students and staff, facilitating a group project and will have an exhibit of her new work in our 2nd Floor Gallery. Mel Kolstad is an artist, speaker, instructor and arts advocate who makes her home in Fond du Lac, Wisconsin. 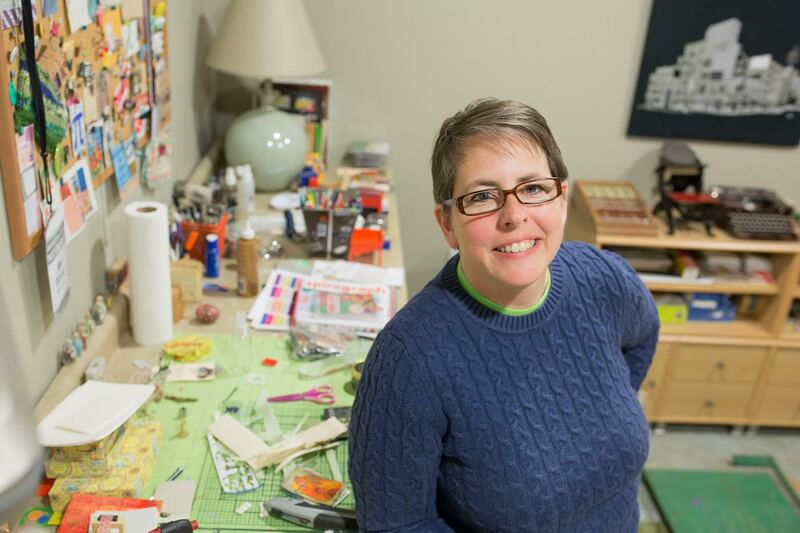 Her love of vintage ephemera is what first led her to creating art; since then she’s discovered the joys of printmaking and encaustic work, as well as rediscovering the joys of fiber art. She is also delighted to be a Certified Papermaker for Arnold Grummer, Inc.; the Chair of Wisconsin Visual Artists – Northeast Chapter; and the Docent Coordinator for the MOWA in West Bend. Mel’s work can be seen in displays around Northeastern Wisconsin and every third Friday for Fond du Lac’s “Tour the Town” art walk; Gallery & Frame Shop, Fond du Lac, WI; and on her website, melkolstad.com. When Mel begins any piece she does have a motif in mind, but when she gets in “the zone” it might turn out far differently than the original intent. She allows her papers and ink and thread to tell her what’s going to happen next. According to Mel, the most important aspect of the creative process is being open to the limitless ocean of options and reminding herself that anything is possible.